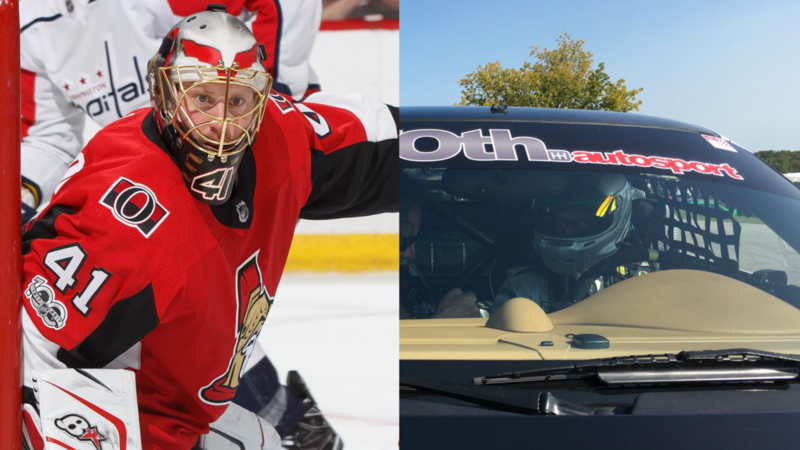 VANCOUVER — On the surface it might be hard to understand how Ottawa Senators No.1 goalie Craig Anderson’s two biggest sporting passions could possibly be related. When Anderson is in the Senators crease, he is relatively still compared to the players and pucks flying around and at him at speeds up to 100 mph. When he gets behind the wheel of a race car on a rack, he’s the one moving at speeds well beyond that. The ability to slow down fast-moving objects in each sport is similar, however. Just as the best goaltenders often are the ones that see the next play before it happens.